What have we been told would lead us to success? Hard work. Our baby boomer middle class parents worked so hard to build us a life of opportunity and from them, to our schoolteachers, to our bosses to our mentors would continually try to instill upon us the importance of hard work. Keep your head down, don’t ripple the waters, work hard and you will succeed. Perhaps you, like me, are a textbook definition of a hard worker. You wake up so early, put in long hours, pretend to never be tired and constantly feel like you are striving towards your ultimate goal. Does that not make you feel a bit insulting and short-changed? Who could say that you are not working hard? By any measure you are extremely hard working but you have maxed out on the output you could obtain for your effort. The truth, as I am coming to realize, is that hard work is not always the roadmap to success. Smart work, however, is. Wait! Before you close out of this article as you smirk with platitudes like “work smart not hard” allow me to explain what is actually missing that even I personally struggle with in a very real way. The fundamental difference between hard work and smart work is that one is visible to us and the other remains somewhat of a mystery. It is (ironically) easier to do hard work than it is to do smart work because we know what hard work looks like. We saw it from our parents. It is right in front of us. It is those 14-hour workdays. That is hard work. Smart work, on the other hand, is harder to measure. We don’t know what the next steps are to take, what would maximize our time and energy, what would grow our businesses exponentially. Smart work can be scary because it is unknown. It is unmeasured. Smart work requires going on a journey where there is no map to tell you what turns to take next or what pitfalls to avoid. The result is that most of us continue working hard, keeping our head down, grinding it out. We do this out of ignorance. Some of us, myself included, will do this out of fear. But the real opportunity for us – is in finding the smart work we can do. 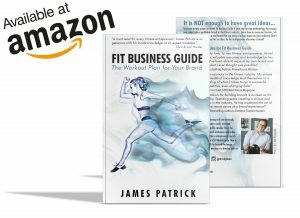 Author’s Note: If you enjoyed this article or found it helpful in your own brand’s journey – please share it with a friend to help them overcome their own obstacles. If you can’t figure out the way to work smart you will burn yourself out. Often times the best way to work smart is to hire or outsource some of your work. Even when you are already stretched thin it really can be a catalyst for growth and a personal refresh.